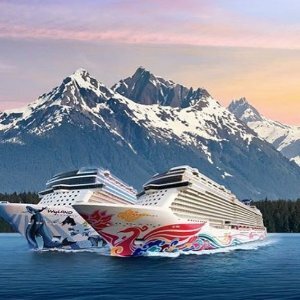 Shermans Travel offers Norwegian Cruise Alaska Line 7 days+ Sale, Fare from $579+ 6 free offers. Offers include Free Open Bar, Free WiFi, Free Specialty Dining, Free 3,4th guest free, Free Shore Excursions, Free Airfare. Featured: Witness nature at its most enticing on an Alaska cruise tour. Experience Alaska by both land and sea in one seamless trip that goes beyond the expected. Spanning from 7 to 14 days, embark on a land tour to enhance your cruise vacation with overnight stays in Denali and Anchorage. Exclusive to Norwegian, all Cruisetours are led by local Alaskan guides who pass along their traditions and real-life experiences.